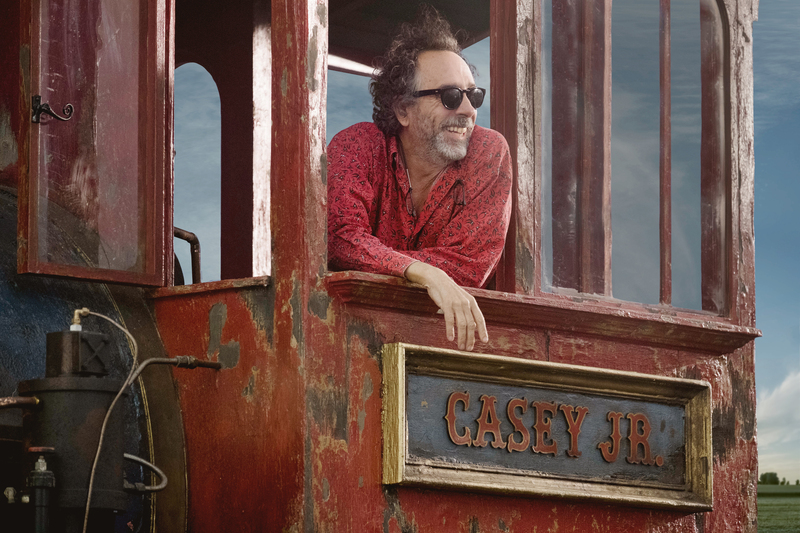 Production is underway for the live-action reimagining of Disney’s 1941 animated classic “Dumbo.” Directed by visionary filmmaker Tim Burton (“Alice in Wonderland,” “Charlie and the Chocolate Factory”), the film stars Golden Globe winner Colin Farrell (“In Bruges,” “The Lobster”), Golden Globe winner Michael Keaton (“Birdman,” “Beetlejuice”), Emmy and Golden Globe winner Danny DeVito (“Batman Returns,” “Big Fish”), BAFTA Award winner and Golden Globe nominee Eva Green (“Miss Peregrine’s Home for Peculiar Children,” “Dark Shadows”), and introduces Nico Parker and Finley Hobbins in their first film roles. The cast also includes Roshan Seth, DeObia Oparei, Sharon Rooney and Douglas Reith. Katterli Frauenfelder (“Miss Peregrine’s Home for Peculiar Children,” “Big Eyes”), Derek Frey (“Miss Peregrine’s Home for Peculiar Children,” “Frankenweenie”), Ehren Kruger (“Ophelia,” “Dream House”) and Justin Springer (“TRON: Legacy”) are producing from a screenplay by Kruger. Nigel Gostelow (“Miss Peregrine’s Home for Peculiar Children,” “Dark Shadows”) is the executive producer. “Dumbo” is slated for release on March 29, 2019.